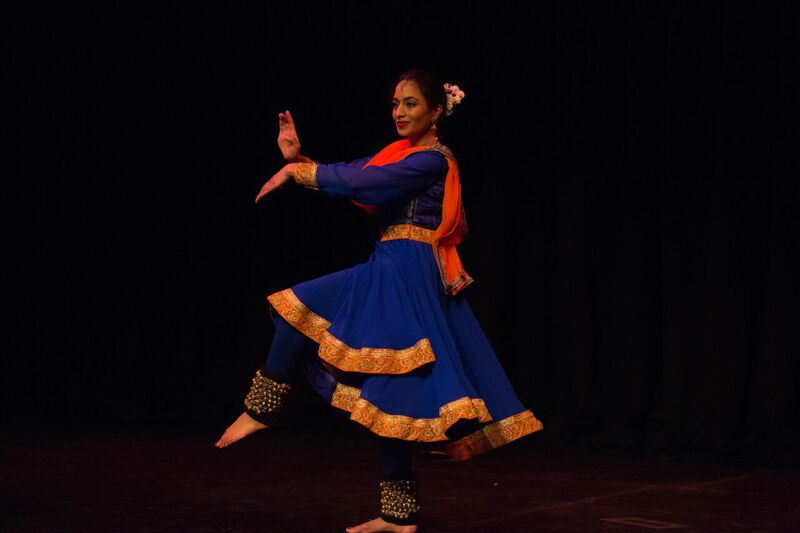 Jalpa Shah has raised £2,000 for Cancer Research UK and Kidney Research UK through a Kathak dance performance on Sunday 11th February 2018. The event was held at Stratford Circus Arts Centre and attended by over 170 people. The grand total was raised from ticket sales and additional donations from patrons. Kathak is a North Indian classical dance form that emphasises powerful footwork matched to complex rhythmic cycles (taal). It also demands the nuanced skills of mime (abhinaya), the use of facial expressions and finely honed gestures to convey emotion and tell a story. Last Sundays ninety minute performance was Jalpa's first solo recital and was set to live music by other UK born artists: Gurdain Rayatt (tabla), Jonathan Mayer (sitar), and Raaheel Husain (vocals). The performance began with an invocation to Lord Ganesh, which was followed by a mix of technical and expressive pieces, and ended with an energetic Tarana. Jalpa is a student of Guru Srimati Alpana Sengupta, and follows in her style of the Raigarh school of Kathak (a combination of the styles from Lucknow and Jaipur). Alpanaji and her husband, Mick Taylor, have been pioneers in raising awareness of Indian dance throughout the UK and the West. Alpanaji currently teaches Kathak in Barnet, Hounslow and Cambridgeshire, and her students are regularly engaged in performances; from events in the local community to national festivals.